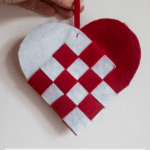 I’m thrilled to be with you guys today as part of the 31 Days of Love Series on Red Ted Art! 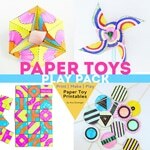 My name is Ana and I’m a blogger at www.babbledabbledo.com where I focus on art, design, science, and engineering for kids along with my passion for paper projects. I also am a bit of You Tube fanatic like Maggy so I’d love to see you on You Tube as well! See Babble Dabble Do on You Tube. 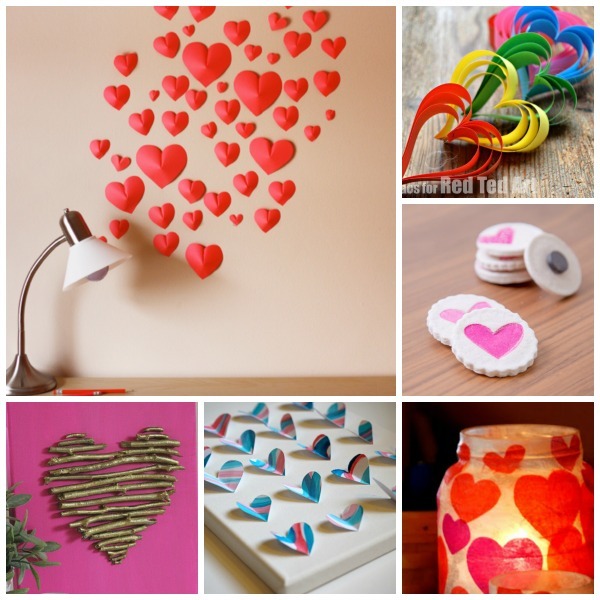 We love these gorgeous 3d Paper Hearts – the perfect Valentines Day Decoration! 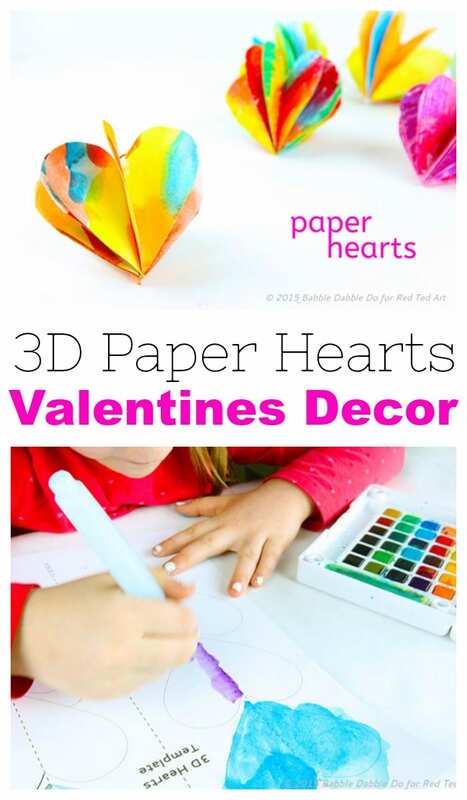 Today I’m sharing with you how to make 3D Paper Heart, a simple Valentine’s Day craft you can personalize by decorating the paper with your own designs. 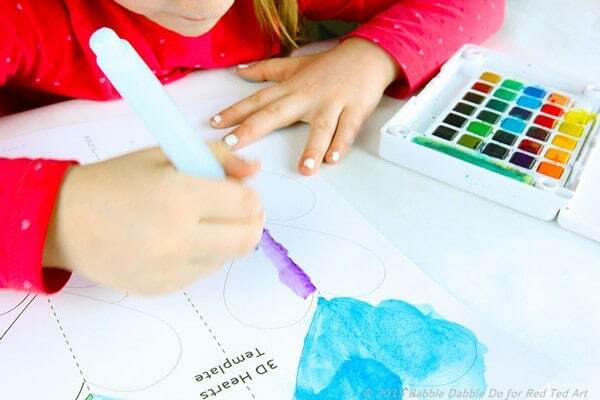 And be sure to check out our list of ideas for how to use these after the tutorial. 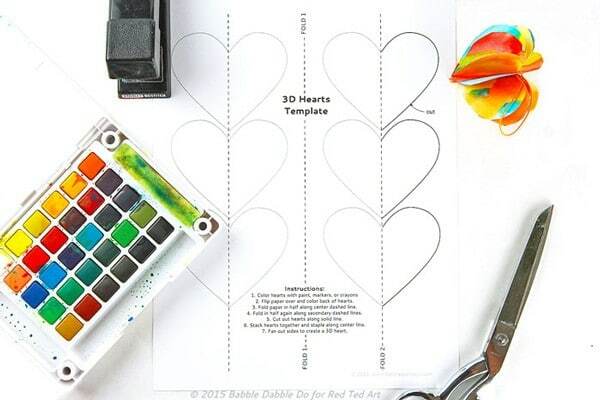 Step One Print the Free Heart template. 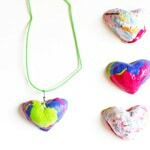 Step Two Decorate the front of the hearts as desired. 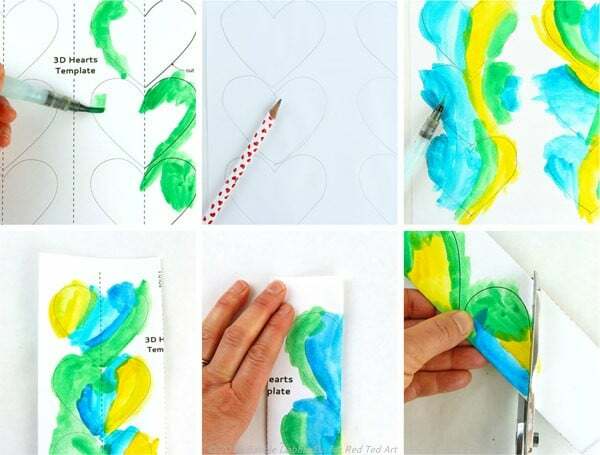 Step Three Turn paper over and trace the hearts onto the back of the template using a pencil. TIP: If you hold the template up to a window you can easily see and trace the hearts from the front of the template. Step Four Fold the template in half and then fold in half again. Step Five Cut out the hearts while the paper is folded. 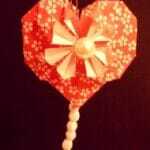 Step Six Gather the hearts in a stack and staple them along the center fold. 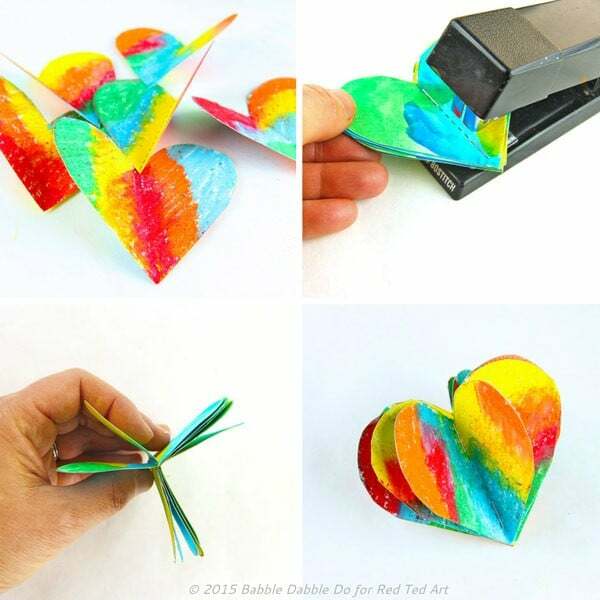 Step Seven Gently fan out each of the sides to create a 3 dimensional shaped heart. 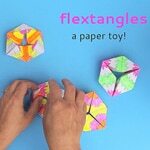 If desired tape or glue a looped string along the center to hang them. 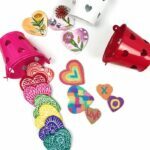 Give them out as Valentine’s cards with messages written in each of the folds. 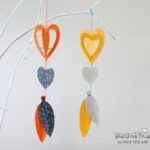 Hang them from a houseplant like you would ornaments. Add them to a mobile. Is there a way to download the template without using your downloader? I don’t want to install it on my computer. Template —-> click here <—– And a second window will open with download. Enjoy! Hi! 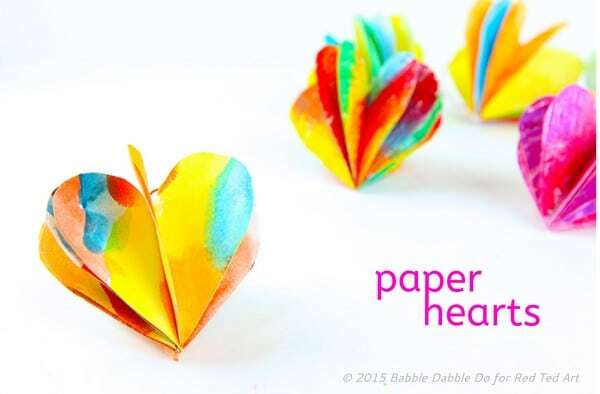 I love these 3D Paper hearts. I was wondering if you thought that glue might work okay as an alternative to the staple? 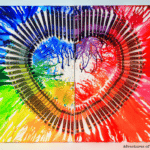 I work with children at a Residential Psychiatric Treatment For and would love to do this with them. I just need to steer clear of self harmful objects. So a staple would be out of the question.